There’s no place like home Europe for the holidays! If you find yourself lucky enough to be taking in all of the holiday cheer that a wintery European country has to offer, grab your warmest coat, mittens and scarf because you’re heading to the Christmas Markets! Don’t worry, there will be enough glühwein (mulled wine) to keep you warm all night. With over 20 Christmas events, Vienna truly knows how to bring the Christmas spirit. The largest and most renown of Vienna’s festive markets is the Vienna Christmas Dream on Rathausplatz, with 150-plus traditional stalls backdropped by the neo-Gothic City Hall. The wintery chill will be bearable with a scene like this! Prague brings you two delightful Christmas markets — just a 5 minute walk over a picturesque bridge away from each other. 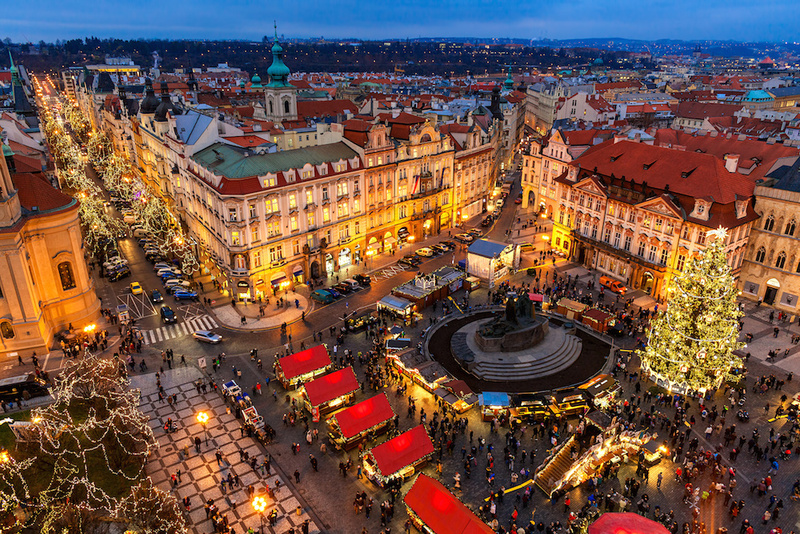 For maximum holiday cheer, visit both Old Town Square and Wenceslas Square. The city’s wooden huts are filled with klobása (Czech sausage) and Pilsner Urquell - you surely won’t leave hungry. Krakow’s main square, Rynek Glowny, will most likely be painted white with snow around the holiday season, so bundle up and enjoy the festive sights! Get all of your holiday shopping done in one go, as you’ll find hand-painted Christmas baubles, inexpensive antiques and merry bric-a-brac for everyone on your list. For the ultimate yuletide vibe, check out one of the oldest and best-loved German festive markets in the old town’s iconic Hauptmarkt. Nuremberg Christkindlesmarkt has a strict ban on modern, mass-produced goods, so the rows of red-and-white-striped awnings, are filled with truly traditional goods. Budapest serves as a perfect wintery backdrop for your festive celebrations, and the Christmas fair will provide jolly gifts and crafts, with traditional Hungarian food and mulled-wine aplenty from 100+ stalls. Grab your food and drink of choice and position yourself to watch the entertainment in form of light shows, folk dancing and live music. 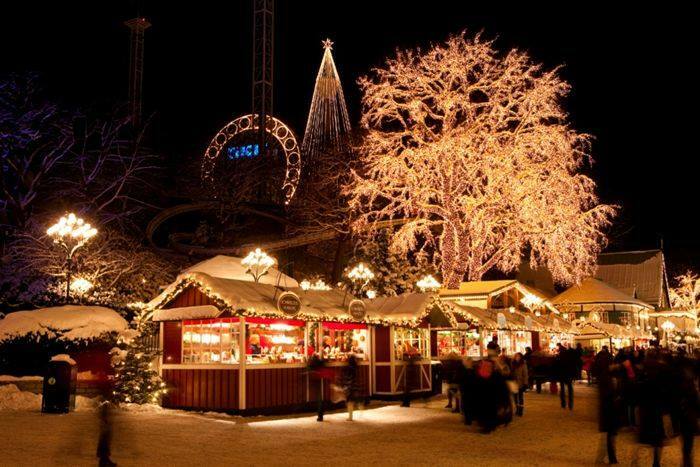 A genuinely traditional open-air museum on the island of Djurgarden in the center of Stockholm, Skansen Christmas Market is as close to the North Pole you can get. You can expect the full spread: Swedish craftsmanship, homeware, decorations and Christmas treats, all adorned with twinkling lights. Home to some of the greatest art from around the world, Basel, Switzerland adds to its repertoire with its delightful Christmas village. Christmas “cabins” line the village with candle making, glass firing, jagertee (tea), glühwein and jus chaud (hot juice in orange or pomegranate), and chestnuts roasting on an open fire. What more could you ask for? Only being around since 1999, Manchester Christmas Markets has acquired international recognition very quickly, and is now considered the UK’s favorite Christmas market - attracting over nine million visitors annually. 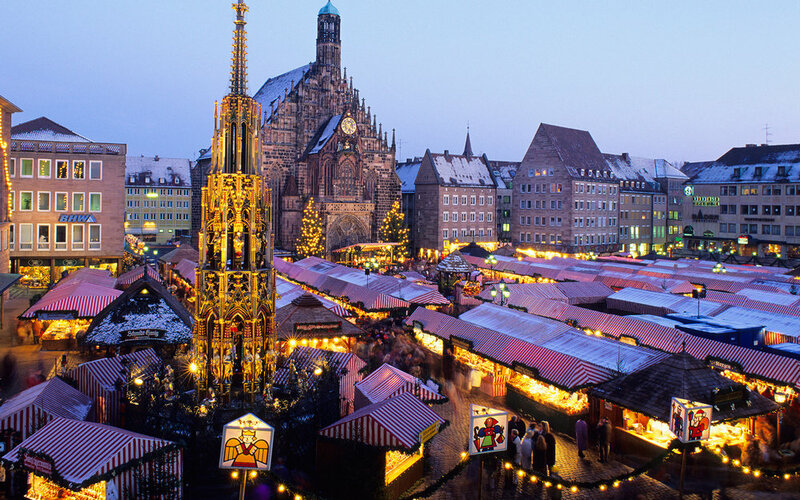 Currently with over 300 stalls, the market provides a warm atmosphere for a chilly stroll, glühwein in hand, of course.